Last week I had the privilege of facilitating a two-day Network Learning Lab for a remarkable group of conservation leaders and network weavers. I co-designed the session with Olivia Millard and Amanda Wrona of The Nature Conservancy (and at the instigation of Lynn Decker of the Fire Adapted Communities Learning Network) to connect and strengthen the capacity of those working at the intersection of ecosystem health and human/community development while building networks at local, state, regional, national and global levels. Our design was informed by input given by the participating network weavers themselves about their core challenges and learning objectives, while leaving room for the unexpected – enough spaciousness for the network magic of emergence to happen. As with other network leadership institutes that we at IISC have had a hand in designing and facilitating, the experience last week had as its foundation plenty of opportunities for the cohort to authentically connect, to get to know one another on both professional and personal levels. 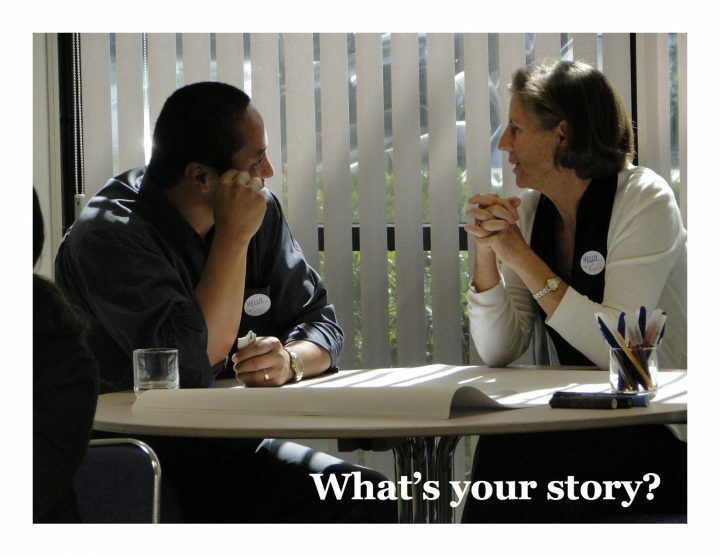 And as with both leadership development sessions and ongoing network development initiatives that we support, we turned to storytelling as a way to create bonds and understanding. This included time for the participants to tell brief stories about their networks, doing so in 5 minute informal bursts sprinkled throughout the two days (which could also have been done as Pecha Kucha or Ignite presentations). The intent was to create a bit more understanding of what might make each network unique in its aspirations, attributes and accomplishments and to whet people’s appetites for further conversation at breaks, meals and into the evening. How to frame and make the case for our networks and network approaches in general. 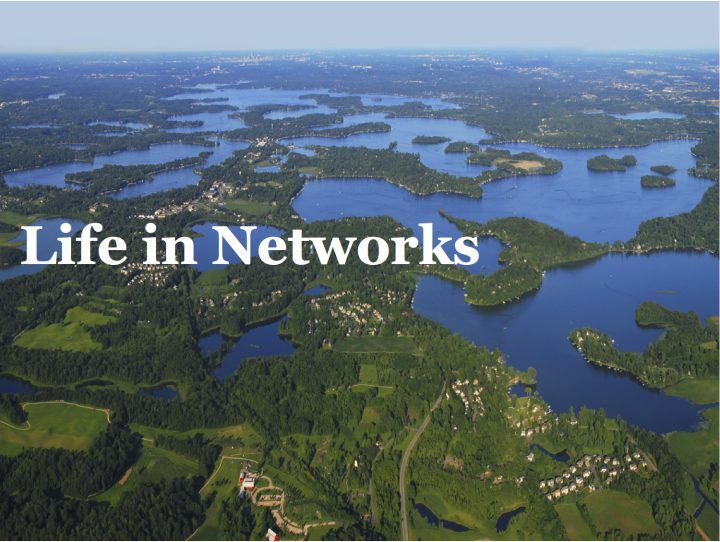 How to maximize the effectiveness of our networks as networks, through consideration of purpose, structures, leadership, and guiding principles. How to think about engagement in our networks, with a commitment to inclusion across difference, and equity. 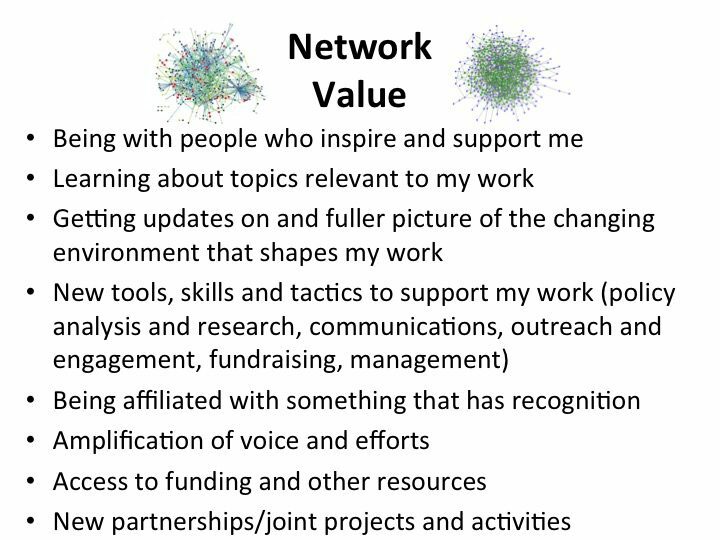 How to measure and communicate “impact” in our networks. These were addressed in paired and small group work and with the assistance of various frameworks and suggested exercises, and with the expectation that people would go where they needed to go in their conversations given the variety of different kinds and stages of development of the networks represented in the room. 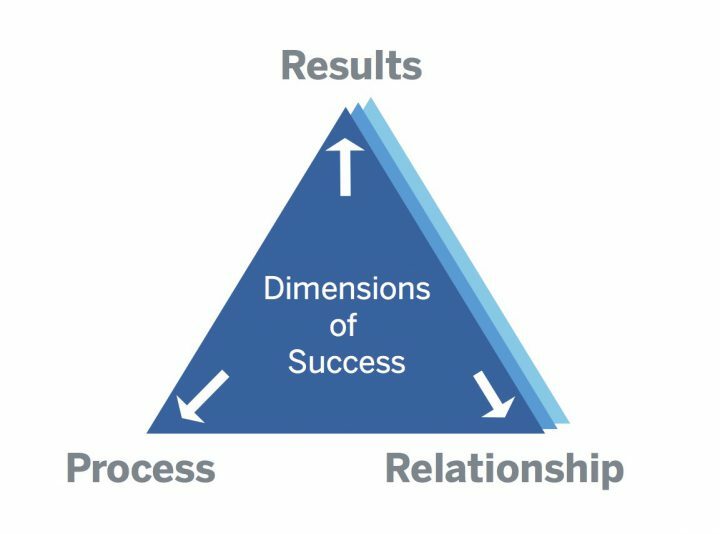 One particularly resonant framework was IISC’s “Dimensions of Success” framework (see above) that highlights more holistic collaborative success in terms of results, process and relationship. In networks, in particular, this can help us understand the primacy of trust in relationships and robust and diverse engagement processes as being crucial to any kind of long-term success. Furthermore, relationships and process have a lot to say about how adaptive and resilient a collaborative social structure is over time! Something else we explored during our time was the power of emotion, including love (yes, love! ), to support this work, both in creating connection but also embracing the complexity of people, perspectives and situations that networks hold. 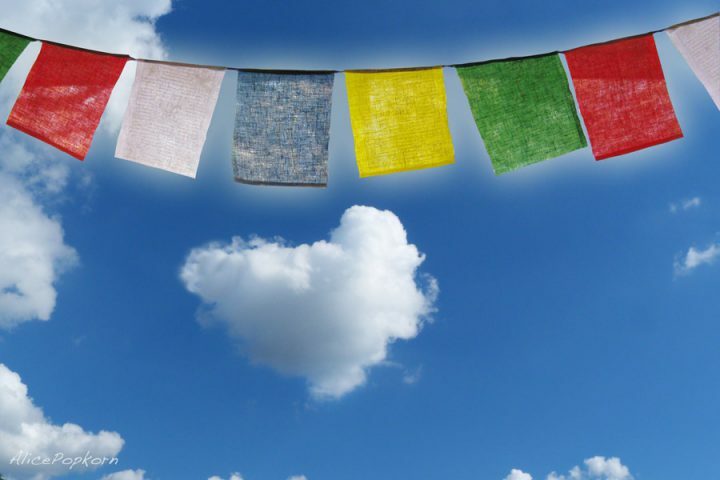 Image by Alice Popkorn, shared under provisions of Creative Commons Attribution license 2.0. Michelle, I am at cogden@interactioninstitute.org.